Terms of Service – Desuzone '+g+"
Please read this Agreement carefully before accessing or using the Website. If you do not agree to all the terms and conditions of this agreement, then you may not access the Website or use any services. This work is licensed under a Creative Commons Attribution-ShareAlike 4.0 International License. User contributions are licensed under a Creative Commons Attribution-Non Commercial-ShareAlike 3.0 Unported License. Without limiting any of those representations or warranties, Provider has the right (though not the obligation) to, in Provider’s sole discretion (i) refuse or remove any content that, in Provider’s reasonable opinion, violates any Provider policy or is in any way harmful or objectionable, or (ii) terminate or deny access to and use of the Website to any individual or entity for any reason, in Provider’s sole discretion. Provider will have no obligation to provide a refund of any amounts previously paid. 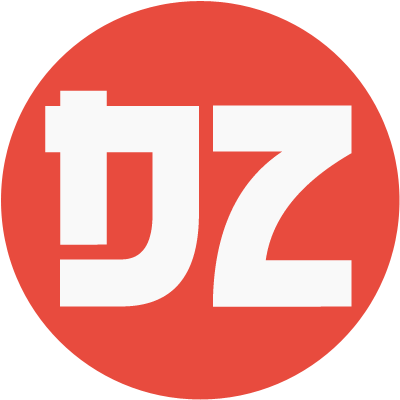 The trademarks, logos and service marks (“Marks”) displayed on the Site are the property of Desuzone and/or other parties. You are prohibited from using any Marks for any purpose including, but not limited to use as meta tags on other pages or Sites on the World Wide Web without the written permission of Provider or such third party which may own the Marks. All information and content located on the Site is protected by copyright. You are prohibited from modifying, copying, distributing, transmitting, displaying, publishing, selling, licensing, creating derivative works or using any Content available on or through the Site for commercial or public purposes. Unauthorized use of the Provider Site may give rise to a claim for damages and/or be a criminal offense. As Desuzone asks others to respect its intellectual property rights, it respects the intellectual property rights of others. If you believe that material located on or linked to by Desuzone violates your copyright, and if this website resides in the USA, you are encouraged to notify us in accordance with our Digital Millennium Copyright Act (“DMCA”) Policy. We will respond to all such notices, including as required or appropriate by removing the infringing material or disabling all links to the infringing material. We will terminate a visitor’s access to and use of the Website if, under appropriate circumstances, the visitor is determined to be a repeat infringer of the copyrights or other intellectual property rights of Desuzone or others. In the case of such termination, we will have no obligation to provide a refund of any amounts previously paid to us. We may terminate your access to all or any part of the Website at any time, with or without cause, with or without notice, effective immediately. If you wish to terminate this Agreement you may simply discontinue using the Website. All provisions of this Agreement which by their nature should survive termination shall survive termination, including, without limitation, ownership provisions, warranty disclaimers, indemnity and limitations of liability. The Website is provided “as is”. Desuzone and its suppliers and licencors hereby disclaim all warranties of any kind, express or implied, including, without limitation, the warranties of merchantability, fitness for a particular purpose and non-infringement. Neither Desuzone nor its suppliers and licencors, makes any warranty that the Website will be error free or uninterrupted. You understand that you download from, or otherwise obtain content or services through, the Website at your own discretion and risk. In no event will Desuzone, or its suppliers or licencors, be liable with respect to any subject matter of this agreement under any contract, negligence, strict liability or other legal or equitable theory for: (i) any special, incidental or consequential damages; (ii) the cost of procurement for substitute products or services; (iii) for interruption of use or loss or corruption of data; or (iv) for any amounts that exceed the fees paid by you to Desuzone under this agreement during the twelve (12) month period prior to the cause of action. We shall have no liability for any failure or delay due to matters beyond their reasonable control. The foregoing shall not apply to the extent prohibited by applicable law. You agree to indemnify and hold harmless Desuzone, its contractors, and its licencors, and their respective directors, officers, employees and agents from and against any and all claims and expenses, including attorneys’ fees, arising out of your use of the Website, including but not limited to your violation of this Agreement. Visitors and Users of this Site agree to submit to the laws of the local State of Desuzone and applicable federal law without regard to conflicts of laws principles. *Last updated December 3rd, 2018.